This is a listing of upcoming events in the area sponsored by our Vernon Volunteer Organizations as well as other Vernon events of general interest. Details of many of the events can be found on our Making Vernon Special MeetUp Page. The ‘Learn more’ link will take you to the event listing. 6 (Sat.) – The Vernon Chorale’s, ‘Dueling Composers’ will be held at St. Bernard Church, 7:30 p.m. Learn more. 6-7 (Sat.-Sun.) – Greater Vernon Holistic Healthfest. Learn more. 7 (Sun.) – Strong Farm 5k Chicken Run, 7:30 a.m. – More than a road race this is the first outdoor family event of the season. Events for kids and adults. Learn more. 7 (Sun.) – Hockanum River Canoe & Kayak Race, Registration 9:30-10:30 a.m ., first boat off 11 a.m. Start: Motel 6, Route 83, Vernon. Learn more. 13 (Sat.) – ‘Landscaping with Native Plants’ with JANE SEYMOUR and PAMM COOPER at the Tolland County Agricultural Center from 10 a.m. – 12 p.m.
13-14 (Sat.-Sun.) – Arts Center East presents ‘Always Nina’ – A Tennessee Story and Songbook. Learn more. 15 (Mon.) – Vernon Garden Club Program: “Fun Facts About Beekeeping” with Vernon Garden Club members, MARCIE LAVOIE and TOM KAMINSKI. 7-9 p.m.
20 (Sat.) – Earth Day Bird Walk at Belding Wildlife Management Area. This 2-hour walk, led by JANE SEYMOUR, will help you identify birds by sight and sound. 8 a.m. at Bread & Milk Road parking area. Learn more. 21 (Sun) – Hoppin’ Hodges Race – The annual Easter morning race will begin at 8:00 a.m. at the Church Street parking area of the Rail Trail. Proceeds from the race go to the Friends of Valley Falls. Organized by Janit Romayko and the Silk City Striders. 22 (Mon) – Northern CT Land Trust’s KARL HASEL will talk about all NCLT’s walking trails at the Vernon Senior Center. 1 p.m. Free. Learn more. 25 (Thu.) – Creating & Maintaining A Sustainable Vernon at Camp Newhoca Lodge. 6 to 7:30 p.m. Learn more. 27 (Sat.) – Civil War Day Camp at the Strong Family Farm. For children ages 8 to 13. 9:30 to 2:30. $10. Learn more. 26-28 (Fri.-Sun.) – Vernon Historical Society Book Sale – Annual Book Sale featuring a wide selection of used hardcover and paperback books, DVDs, VCR tapes and books on tape. Learn more. 2 (Thu.) – Vernon Greenways Volunteers Season Kickoff at the Camp Newhoca Lodge. ‘The Bear Reality’ with Felicia Otner, a Connecticut Master Wildlife Conservationist (MWC) and a bear enthusiast. 7 p.m. Learn more. 4 (Sat.) – Northern CT Land Trust Canoe and Kayak Paddle of Upper Bolton Lake., 9 a.m.
4 (Sat.) – Hockanum Brew Fest at the New England Motorcycle Museum in Rockville, 1-4 pm. Learn more. 4-5 (Sat.-Sun.) – Vernon Historical Society Book Sale – Annual Book Sale continues featuring a wide selection of used hardcover and paperback books, DVDs, VCR tapes and books on tape. Learn more. 11 (Sat.) – Vernon Garden Club’s Spring Plant Sale at Vernon Center Middle School, 8-10:30 a.m.
13 (Mon.) – Vernon Volunteers’ Cooperative Participants Meeting, 9 a.m.
18 (Sat.) – Friends of Valley Falls “The Birds Of Valley Falls,” a bird walk led by Denise Anamani. 7:30 a.m.
18 (Sun.) – Friends of Valley Falls ‘Wildflowers Walk’ led by Ginny Gingras. 1 p.m.
19 (Sun.) – Friends of Valley Falls “Rocks, Rails & Industry Walk,” a geology and history walk led by Don Sierakowski. He will take us on a jaunt through the historic parts of Valley Falls Park discussing the history of the area, the cotton mill, the coming of the railroads, and the rock formations of the valley. 1 p.m.
20 (Mon.) – Vernon Garden Club Program: “Eastern Coyotes in Connecticut” with PAUL COLBURN, Certified Master Wildlife Conservationist with DEEP. 7-9 p.m.
26 (Sun.) – Talcottville Memorial Day Parade to Mt. Hope Cemetery’s Civil War Monument, 8:30 a.m. assemble, 9 a.m.
1 (Sat.) – The Vernon Chorale’s, ‘A Choral Tapestry’ will be held at St. John’s Episcopal Church, 7:30 p.m.
2 (Sun.) 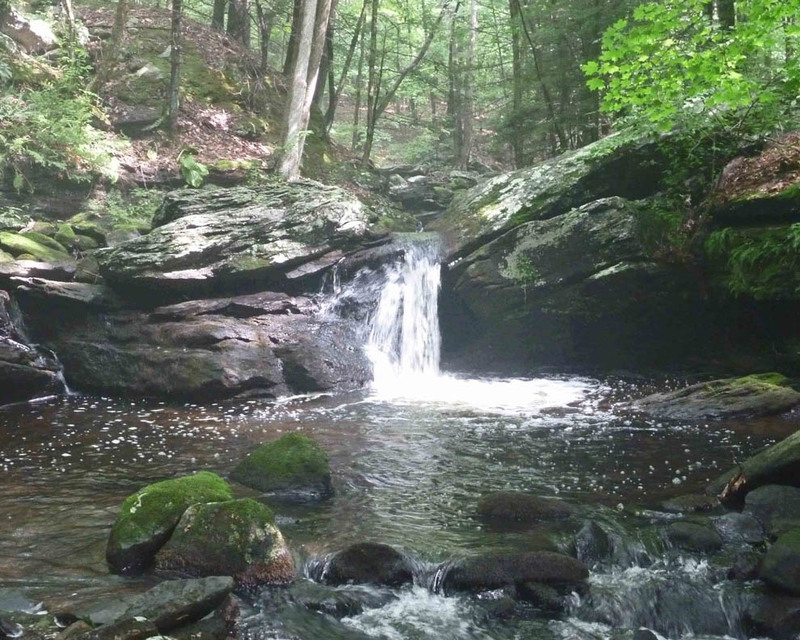 – CT Trails Day: Manchester Land Conservation Trust Risley Park Hike, 1-3 p.m. SUSAN BARLOW leads this 3.3 mile hike to the Box Mountain Ridge. Rain or shine. 2 (Sun.) – For this Vernon Historical Society program BOB HURD will cover the history of the Tankerhoosen Valley. 2 p.m.
8 (Sat.) – CT Open House Day In Vernon. Open House and special events at Strong Family Farm, Valley Falls Farm and the Vernon Historical Society. This is your chance to visit the places you’ve always meant to visit. For the whole family. 9 (Sun.) – To supplement his June 2 program BOB HURD is planning a bus tour of the Tankerhoosen Valley. Details to follow. 18 (Sun.) – Friends of Valley Falls’ ‘Artists Day At The Farm,’ 12:30 p.m. to 3:00 p.m. featuring art, music and history. 28 (Sat.) – Vernon Community Day at Route 30 Public Works. Details to follow. 28 (Sat.) – Talcottville, Talcott Ravine and Vernon Rail Trail history, geology and archeology walk, 1 p.m.
29 (Sun.) – Friends of Valley Falls Annual Meeting and Program, 1 p.m. Details to follow. 19 (Sat.) – Strong Family Farm Annual Harvest Festival, 10-2. Scarecrow contest, children’s activities. 20 (Sun.) – Northern CT Land Trust fall foliage hike at Valley Falls Park and along Railroad Brook gorge on the Trusts’ Andrew Webster Knapp property, 9 a.m.